The Hotel Colorado, a national historic landmark, opened in 1893, catering to the rich and famous. The six-story building was made of local cream-colored brick and pinkish peachblow sandstone and designed to be a replica of the Villa de Medici in Rome. 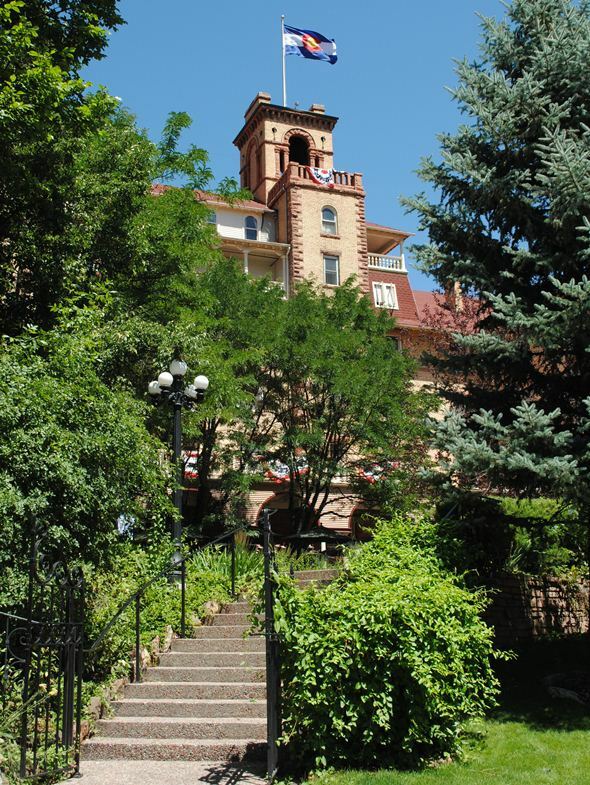 The hotel, which sits on a hill above the hot springs, was built at a cost of $850,000 by silver baron and banker Walter Devereaux. The hotel had 201 guestrooms, 31 private rooms, seven public bathrooms, and 71 fireplaces, plus a fountain in the south courtyard that shot water 180 feet into the sky and a spa and swimming pool. The fountain was modeled after one at the 1889 World’s Fair in Paris and was illuminated. The Hotel Colorado’s clientele has included Presidents Theodore Roosevelt, William Taft, Warren Harding and Franklin Roosevelt, plus the “Unsinkable” Molly Brown, “Buffalo Bill” Cody, Al Capone, “Baby Face” Nelson, and Tom Mix. The hotel and the hot springs pool served as a U.S. Navy hospital in World War II. One of the hotel’s legends is that maids pieced together scraps of material into a stuffed bear to cheer President Roosevelt after he returned an unsuccessful day of hunting and that his daughter, Alyce, said after the president did shoot a bear that she would name the stuffed one “Teddy.” However, there are other stories with different accounts of the origins of the teddy bear that became one of the nation’s top toys.